A great way to transition into fall is by wearing your favorite summer pieces and layering up with a scarf or cardigan. That's what I did yesterday. 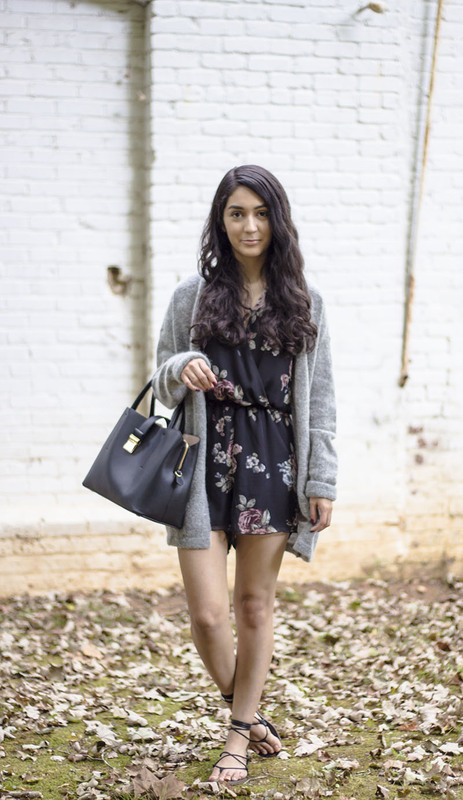 I wanted to get more use out of my floral romper before it starts getting too chilly. I wore my grey fuzzy cardigan on top and it was instantly cozier. So don't put away all your favorite summer pieces just yet! 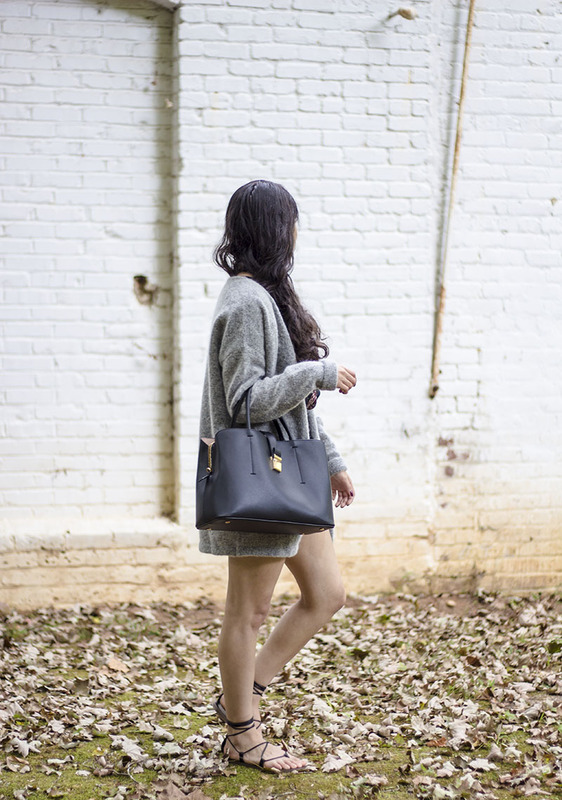 For more ideas on how to wear cardigans right now? Check here. Love this romper!! It looks so good with a boyfriend cardi to transition into fall!